debut album, ‘Me & Mines’. 3rd August 2018, Johannesburg – Warner Music South Africa & VTH Season are proud to present BigStar Johnson. His latest single, taken from the forthcoming debut album ‘Me & Mines’, ‘Sgubu’, featuring Kwesta, is destined to be a SA hip-hop classic. The single is accompanied by a kasi-life video and is the ideal pre-cursor to the ‘Me & Mines’ album which launches on 24th August 2018. Says BigStar Johnson, ‘Me & Mines’ is about to bless the nation with some variety and ‘Sgubu’ is just the beginning. It’s a feel-good track made to celebrate being South African and embrace a sound that we created: Kwaito. Kwesta, (who I consider the realest in the game) was the perfect feature and he came through and bodied the beat, as he does so well on that bpm. ‘Me & Mines’ features guest appearances from Kwesta, Zoocci & Rouge amongst others. ‘Me & Mines’ is out 24th August and can be pre-ordered now on all digital platforms and Musica. Coming from a musical background, BigStar Johnson, real name Tumelo Rakumako always knew that a life in music was his destiny. The first time Tumelo got a taste of the stage was in 2003 where he entered a talent competition in his school with a group of his friends, where they rapped and came out second place. BigStar Johnson spent most of his high school years focused on musical theatre where he harnessed and developed his passion for the arts. In early 2007, Tumelo determined to set himself apart from other rappers, embarked on a journey that saw him learning to play multiple instruments, including drums, keyboard, bass guitar and even a little acoustic guitar. 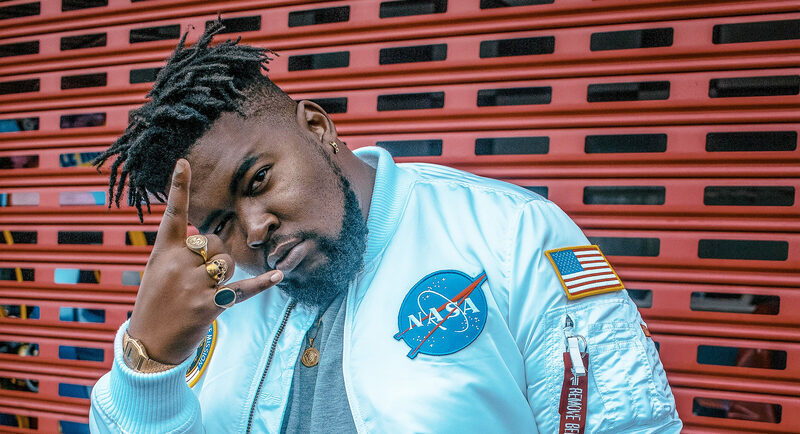 BigStar Johnson came to life in 2012 when he decided to embark on his solo career as a rapper and got his big break in 2015 when he won the reality hip-hop competition, The Vuzu Hustle Season 1 which landed him a Management deal with the Vth Season and he hasn’t looked back. BigStar Johnson describes his role in the rap game as the MC who will fuse good music with good lyricism. Early signs are that he will excel. He has performed at some major music festivals across the country and has shared the stage with some of the most prominent and successful artists in the South African Music industry; The Soil, Zakes Bantwini and Cassper Nyovest as well as legends Sipho Hotstix Mabuse and the late Bra Hugh Masekela, to name a few. He was a recent winner of the global music conference MIDEMs prestigious incubator programme in Cannes. His opening night performance was the talk of the conference in many circles. Sgubu…. It’s going to be memorable.